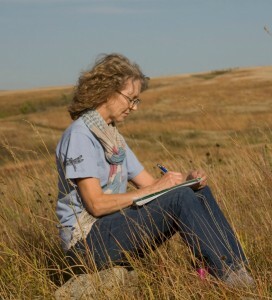 TWYLA HANSEN served as Nebraska’s State Poet for the term 2013-2018. Her newest book of poetry, Rock • Tree • Bird, was published by The Backwaters Press in 2017. She has six previous books, including Nebraska Book Award winners Dirt Songs: A Plains Duet and Potato Soup. She has been a creative writing presenter through Humanities Nebraska for over 20 years and the Nebraska Arts Council since 2013. Hansen earned her BS and MA from the University of Nebraska-Lincoln. Her writing has been published in anthologies, newspapers, a textbook, The Encyclopedia of the Great Plains, The Writers Almanac, film-illustrated by NET Nebraska, transcribed for women’s chorus, commissioned by National Arbor Day Foundation, and in periodicals such as Prairie Schooner, Midwest Quarterly, Nebraska Life, Neihardt Journal, North Dakota Quarterly, Organization & Environment, Paddlefish, Palo Alto Review, Plains Song Review, Platte Valley Review, South Dakota Review and many more.